Before it had introduced the 6 Series, built from 1976 to 1989 and then reintroduced in 2003, BMW had the New Six (E9) to fill the coupe gap in its lineup. Launched in 1968, the E9 survived for eight years, in which several versions were created with engines ranging from the twin-carb, 2.5-liter to the fuel-injected 3.2-liter. Stunningly beautiful in standard guise, the E9 spawned a downright aggressive, yet still gorgeous, race car toward the end of its life. Known either as the 3.0 CSL or the 3.5 CSL and often dubbed "Batmobile," this beefed-up monster marked the beginning of a very special era for BMW. One that would cement the automaker’s image as a race car manufacturer. That’s because the race-prepped E9 went on to win more than 100 races throughout its career, which included several different categories. Making the E9 that more special is that it turned out to be one of the very few Bimmers to score important victories on U.S. soil by defeating Porsche at Sebring, Daytona and Talladega. The Germans have just restored one of these IMSA-spec cars and snatched the class win at the 2014 Amelia Island Concours d’Elegance. The vehicle will return at Laguna Seca race track during the Rolex Monterey Motorsports Reunion starting August 14th, 2014 and we just couldn’t pass the opportunity of adding the 3.0 CSL to our catalog of reviews. Updated 01/23/2015: We’ve added a series of new images from the car’s official presentation at the 2015 Detroit Auto Show. Check the new images in the "Pictures" tab. Click past the jump to read more about the 1975 BMW 3.0 CSL. While the road-going BMW E9 is a beautiful and elegant coupe, the IMSA-spec 3.0 CSL, is downright menacing. 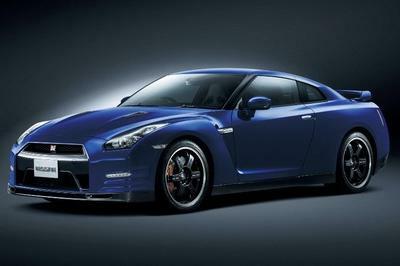 Its mean looks are provided by an extreme aerodynamic kit that replaced most of the car’s stock body panels. Up front, only the headlamps and the grille remained unchanged. A blade-like bumper replaced the standard, chrome unit, while the fenders were enlarged to house wider, slick tires. The hood received race-spec pins, while a set of fins were mounted atop each fender. Around back, only the fascia and taillights kept their standard configuration. The rear fenders are even beefier than the front ones, as the rear tires are much wider, as per IMSA specifications. A huge wing was placed atop the trunk lid, with another aerodynamic device, this time smaller, mounted on the roof. The shortened exhaust was rerouted as the tips exited right below the doors. All these modifications gave the 3.0 CSL its Batmobile nickname. BMW built 167 road-legal versions based on the European ETCC-spec racer for homologation purposes. They were finished in either Polaris Silver or Chamonix White and are highly sought after by collectors nowadays. 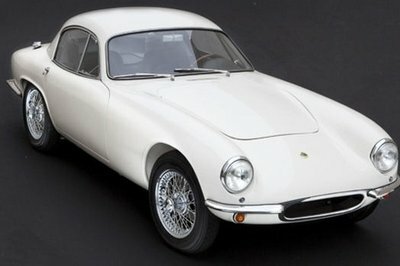 The vehicle depicted above has been restored to its 1975 12 Hours of Sebring specifications. It features a predominantly white livery highlighted by the red, blue and dark-blue colors of BMW’s Motorsport division. This specific chassis won five races that year at Sebring, Riverside, Laguna Seca, Daytona, and Talladega. Quite an achievement! Looking to shave as much weight as possible, BMW stripped the 3.0 CSL’s interior to the bone. Most convenience amenities were removed, the dashboard modified to include only the vital gauges, and the standard seats replaced with race-spec Recaros with multi-point harnesses. The rear seats and door panels were ditched as well, while a new racing steering wheel, aluminum pedals and a gear shifter were mounted. Riding in one of these race cars for 12 or 24 hours was rough on the body and the mind, but every racing success comes at price. Initially powered by the 2,986cc, inline-six engine fitted in the road-going 3.0 CS, the 3.0 CSL had its engine displacement increased to 3,003cc and 3,153cc, respectively, by 1973. 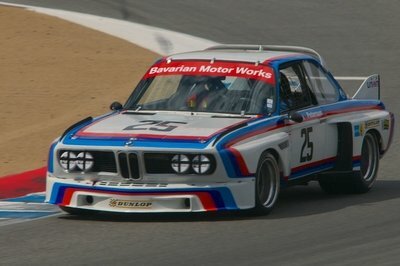 Campaigned by BMW Motorsport in the 1975 and 1976 IMSA GT Series, the model shown here was motivated by a larger, 3.5-liter, 24-valve, six-cylinder unit. 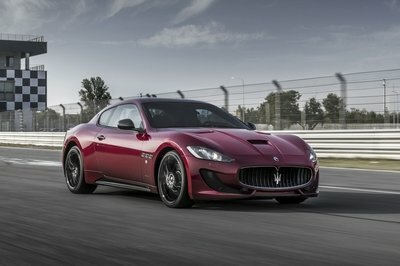 The fuel-injected powerplant sent 430 horsepower at 8,800 rpm to the wheels through a four-speed manual transmission. The engine was not only incredibly powerful for a race car as light as the 3.0 CLS, it was also very loud. Needless to say, its piercing exhaust helped the 3.0 CSL become a crowd favorite in both Europe and North America. Since only five chassis were built and campaigned in North America in Group 4 specifications, these cars are highly valuable nowadays. 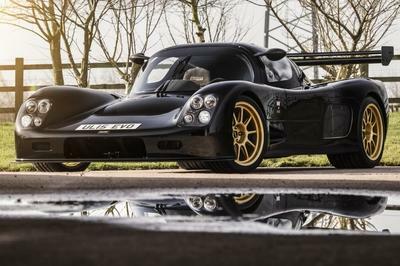 They rarely hit the auction block, but, when they do, they fetch hundreds of thousands of dollars, if not more than a million, depending on their racing history. The BMW 3.0 CSL competed against many famous race cars back in its hey day, but very few were as spectacular as the Porsche 934/935. Sure, the two raced in different categories, but they clashed many times, and, surprisingly, the Bimmer came out victorious six times in 1975 and 1976. Unlike the 3.0 CSL — a front-engined racer — the Porsche 934/935 had a turbocharged, 3.2-liter flat-six mounted at the rear. The air-cooled plant delivered no less than 760 horsepower, making it one of the most powerful race cars of its era. As a result, the 934/935 was more successful than the 3.0 CSL, winning no less than 123 races between 1976 and 1986, including the 24 Hours of Le Mans and the 1,000 km Nurburgring. The 3.0 CSL is arguably the most famous race car to ever come out of Munich. The mean-looking coupe has been hooned in different shapes and in various events, scoring more than 100 wins in Europe and the United States. The IMSA-spec CSL is definitely the hotter version of the 3.0 and the fact that it managed to beat the Porsche 934/935 on several occasions only adds to its fame. What’s more, with drivers such as Hans Stuck, Brian Redman, Ronnie Peterson, Peter Gregg, and David Hobbs behind the steering wheel, the CSL also benefits from from a bevy of legendary names written on its doors. Buying one of the five IMSA-spec cars is next to impossible unless you’re filthy rich, but we can always enjoy their presence during events like the Rolex Monterey Motorsports Reunion at Laguna Seca. 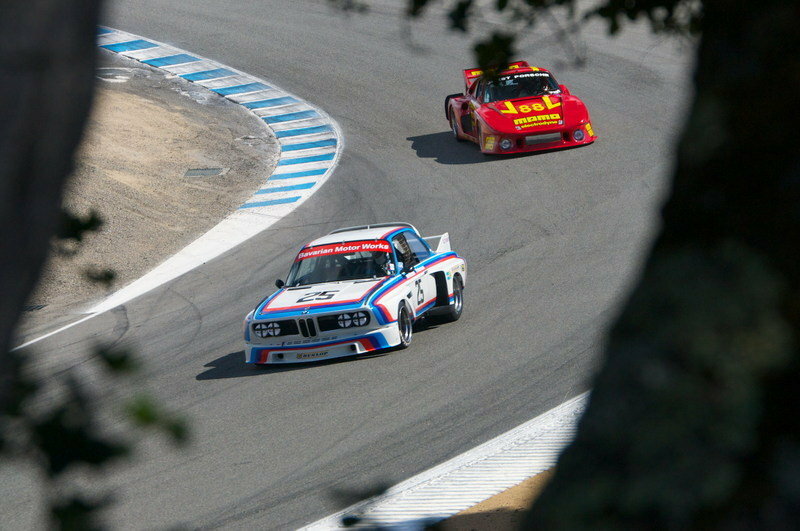 Today BMW announced that BMW of North America President and CEO Ludwig Willisch will once again race the iconic BMW 3.0 CSL ‘Batmobile’ in the annual Rolex Monterey Motorsport Reunion at Mazda Raceway Laguna Seca next week. “BMW fans and I have a very emotional attachment to this important car in the history of the BMW brand in the US. I’m honored to take the wheel that has been held by the great heroes like Posey, Stuck and Redman to demonstrate the car for the fans at this historic track and event,” said Ludwig Willisch, President and CEO of BMW of North America. This BMW 3.0 CSL, No. 25, won the 1975 12 Hours of Sebring and was instrumental in establishing the ‘Bavarian Motor Works’ name to a completely new group of US auto enthusiasts as BMW of North America was being established as a subsidiary 39 years ago. This 3.0 CSL (Chassis No. 2275985) was one of a group of five chassis built and campaigned by BMW Motorsport in North America in the 1975 & ’76 IMSA Camel GT Series in Group 4 specifications. The cars were powered by a 3.5 liter, 430 hp version BMW inline-6 engine with double overhead cams and four valve cylinder heads. Campaigned under the racing numbers No. 24 and No. 25, the CSL enjoyed considerable success winning at Sebring, Riverside, Laguna Seca, Daytona and Talladega in 1975. In 1976, Chassis No. 2275987 campaigned as the No. 59 car driven by Brian Redman, Peter Gregg, and John Fitzpatrick won the 24hr of Daytona. Several iconic drivers were involved in the American success of the CSL, including Hans Stuck, Sam Posey, Brian Redman, Ronnie Peterson, Dieter Quester, Benny Parsons, Peter Gregg and David Hobbs. All five chassis are still in existence. Chassis No. 2275985 has been restored to its race number 25, 1975 12 Hours of Sebring specification and was honored this past March with a Class win at the Amelia Island Concours d’Elegance. Ludwig Willisch is scheduled to race the No. 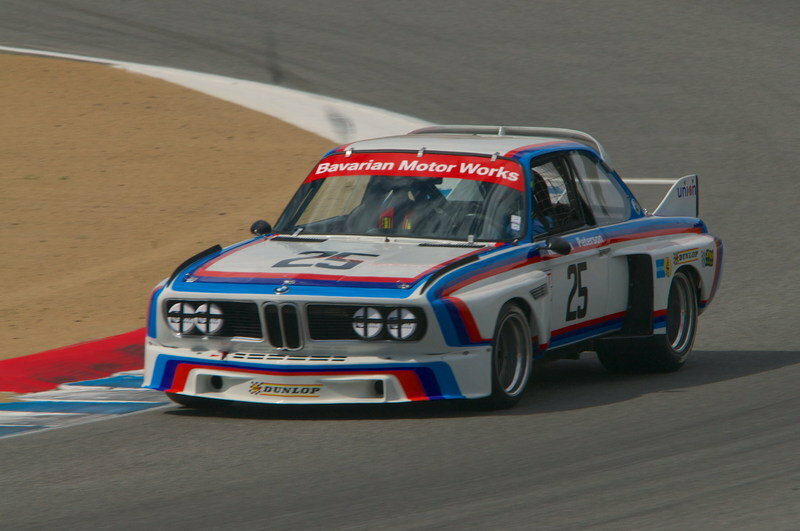 25 BMW 3.0 CSL at the Rolex Monterey Motorsports Reunion from Thursday August 14th through Saturday August 16th.